How to draw Yuzuriha Inori from Guilty Crown Anime. Learn to draw an Anime character, Yuzuriha Inori, from Guilty Crown from step by step tutorial along with easy to follow instruction. 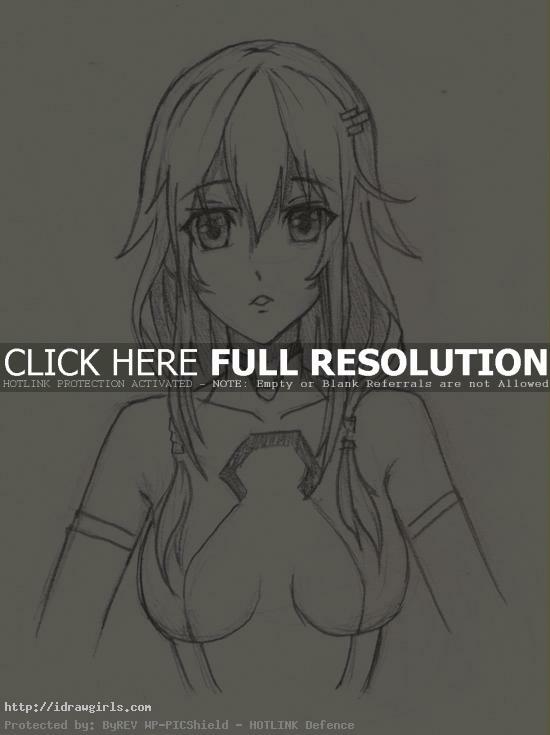 In this tutorial, you will learn to draw Yuzuriha Inori from Guilty Crown Anime series. The easiest way to draw anything, first you should break down the drawing into simple geometry shapes. To simplify any complex drawing, you must observe and analyze the subject then you can make it into a simplify version. It is easier once you make the simple initial drawing. Another important rule is to make a correct or accurate drawing. Because the most important part of correct drawing is measurement and placement between elements such as space from left eye to nose or from nose to lips. Positioning initial pieces within the drawing to make it as accurate as possible will make your drawing more solid. Once you have the shape and form you need to take the drawing to the next step, it will be easier to add detail. It is a lot easier to draw once you carefully study the over all shape of a character you are trying to draw. Guilty Crown (ギルティクラウン) is a 2011 Japanese anime television series. Yuzuriha Inori has pink/white hair, and orange/red eyes. Her stage costume is flowery red leotard with red spoilers. She also wears black camisoles when she not on stage. When attending school she wears the standard school uniform. She also wears a white costume. Inori is first shown to be emotionless and only cares to follow Gai’s orders. As he saved her life and gave her a name. Thus she shows absolute respect and devotion towards him. Here is a final Yuzuriha Inori drawing. 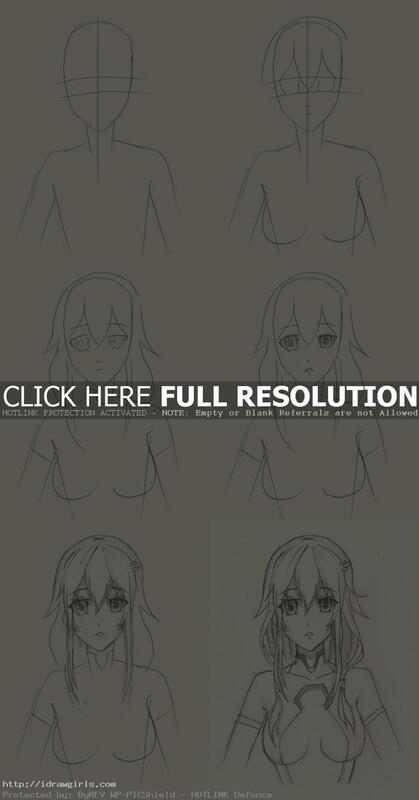 Below are step by step images how to draw Yuzuriha Inori from Guilty Crown.